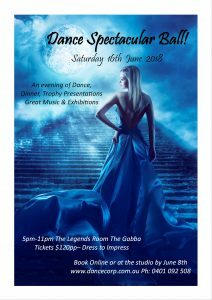 Dress to impress and join us for a fantastic evening including lots of general dancing, 3 course dinner, student trophy presentations and exhibitions! Available to all current and past students and their invited guests. Entry via main entrance (Gate One) off Stanley Street, look forward to seeing you there.